Getting your product or service dialed in for a foreign market is a big step, but where do you go from here? How do you market it, ship it, and make sure you dotted all the “i”s on the paperwork? How do you even know what paperwork you need? To help you succeed in key international markets, the state of Idaho operates trade offices in Mexico, China and SE Asia. Our offices are staffed full-time with trade office managers who are native to their country and experts in business. Which means you get local, on-the-ground advice about strategy and marketing; regulations and documentation; and logistics like packaging and shipping. Our trade office managers know us, our businesses, and the high value of our products and services. When you’re ready to move forward, contact us, we’re here. 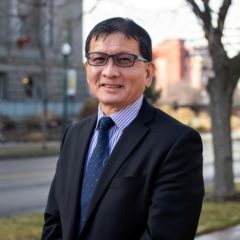 Mr. Eddie Yen is the director of the Idaho-Asia Trade Office. He works with hundreds of Idaho companies and helps organize trade missions, trade shows, buying delegations and educational visits. Mr. Yen has a comprehensive and deep understanding of Idaho’s industries, market opportunities and export needs. He is widely recognized for his knowledge of Taiwan and China and has held positions in the American Trade Offices Association in Taipei. Prior to joining the Idaho Department of Commerce when the office opened in 1988, Mr. Yen served as a project manager for international trade show recruitment and management. He is a graduate of Tunghai University. Ms. Tara Qu is the director of the Idaho-China Trade Office. She has extensive experience in government affairs and business development in China. 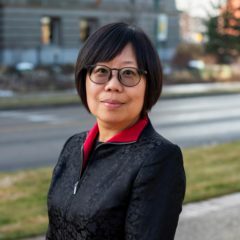 Prior to joining the Idaho-China Trade Office in 2015, Ms. Qu served for U.S. Department of Commerce as Chief Representative of the U.S. Commercial Center and Commercial Representative of Foreign Commercial Service in Shanghai for 13 years. Additionally, during her five years of employment with Panasonic Avionics Corporation Ms. Qu was responsible for establishing a presence in China for the company. She is a graduate of Baruch College, CUNY. 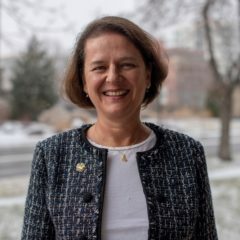 Ms. Fabiola McClellan is the director of the Idaho-Mexico Trade Office. Prior to joining the Idaho-Mexico Trade Office in 2017, Ms. McClellan has served as the Managing Partner of ATTEND Marketing International which has managed multiple USA Pavilions at various trade shows throughout Mexico. From 2010-2013 she served as a Senior Marketing Specialist for the U.S. Department of Agriculture Foreign Agriculture Service in Mexico. Between 1998 and 2007 she lived in Santiago, Chile; Sao Paulo, Brazil and London, England and was involved in various leadership roles with the American School Foundation. Between 1992 and 1997 she worked for Disney Consumer Products in Mexico as a Food and Promotions Director and was then promoted to Marketing Director. Previous to her work at Disney she was a Brand Manager for Nestlé U.S.A. and Mexico.